It's worth making clear that i'm a big MINI fan, although I have never owned one. 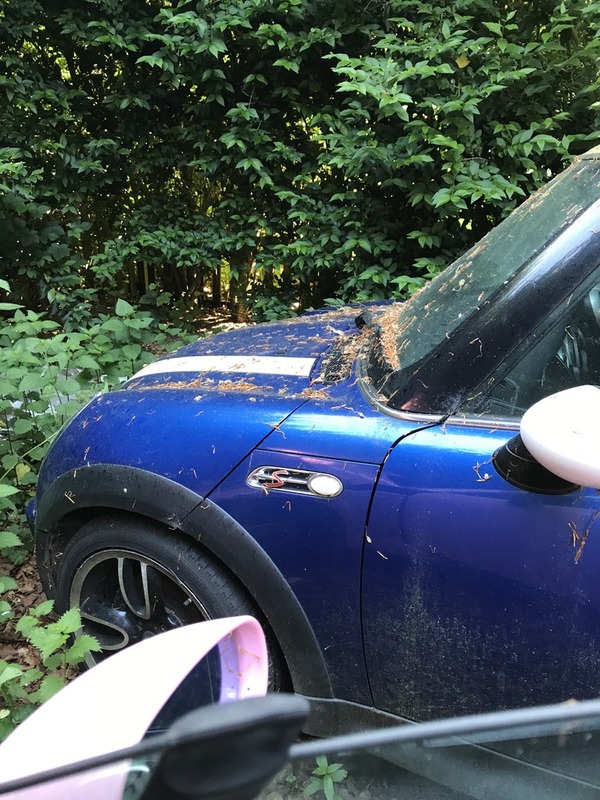 My Mum has had a 2004 Cooper S for over 9 years which i've always been very fond of - however she is also very fond of it, so i'm rarely lucky enough to drive it! I usually need an excuse - such as "I've just changed the coolant, but I need to test drive it to make sure everything is ok ... BYE". 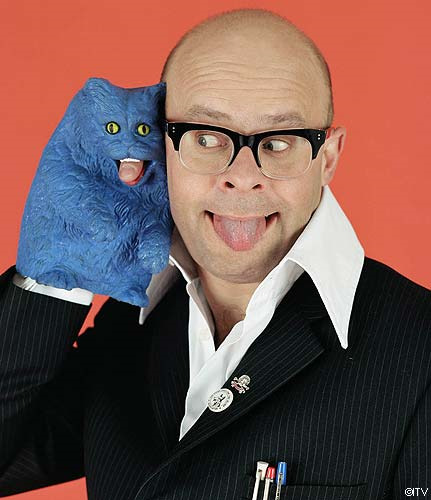 I love the way they drive - a real hoot at (relatively) legal speeds. 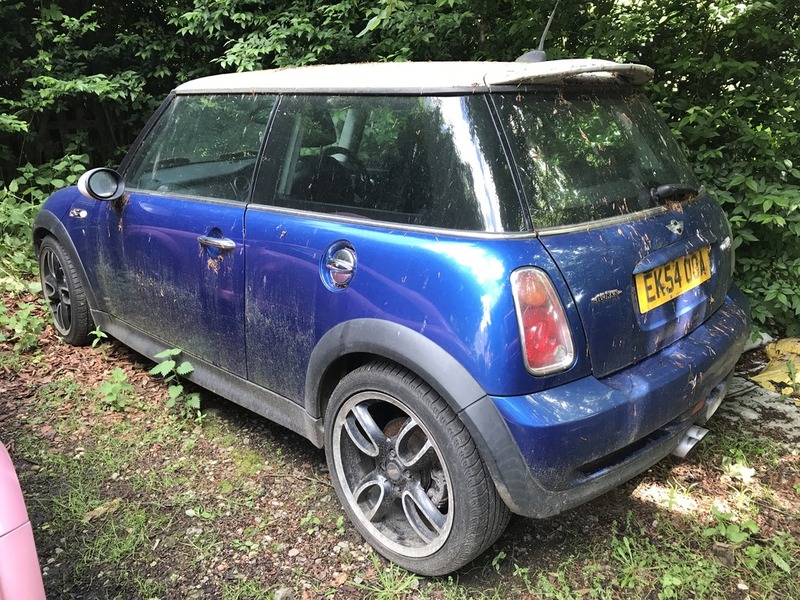 In the past when i've looked to change car, the MINI has never been quite suitable as I used to do a lot more miles (mainly motorway) which dictated a slightly larger and less bone-shaking car with an auto box (Golf GTI DSG and BMW M135i). 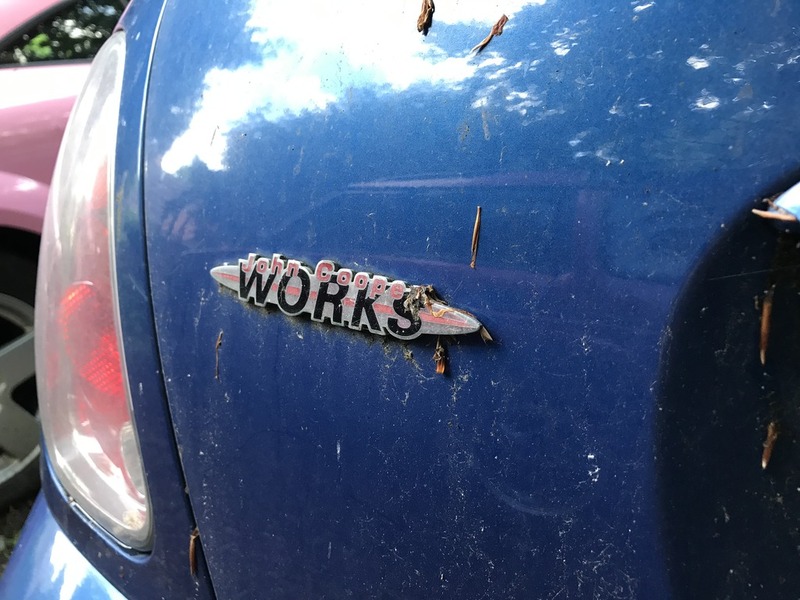 However, as i'm looking to work close to home - a MINI makes a lot more sense now. 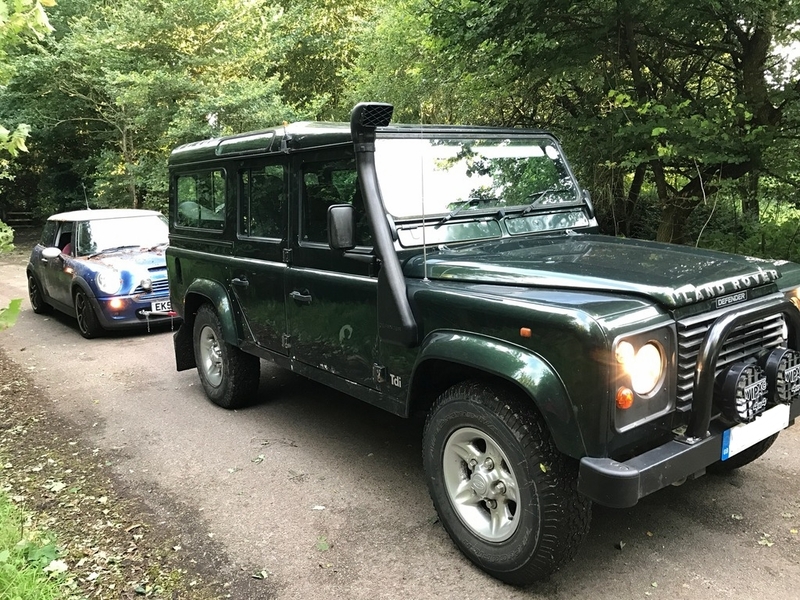 After selling my M135i, I have used my Land Rover Discovery 300TDI as my 'daily' since last year - it's comfy(ish) and relaxed, but you simply cannot have any fun behind the wheel - it takes at least 18 seconds to get to 60mph. I was recently helping a family friend to resurrect her Audi TT which had a flat battery. 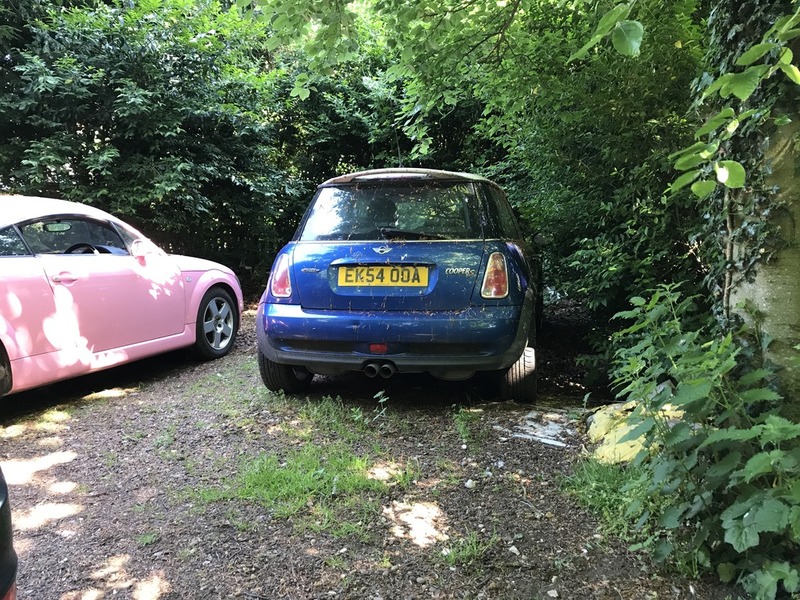 Coversation turned to her MINI which had suffered head gasket failure in September 2016. She had not had the time to get it repaired, and so it had sat there ever since - gradually turning green under some large trees. 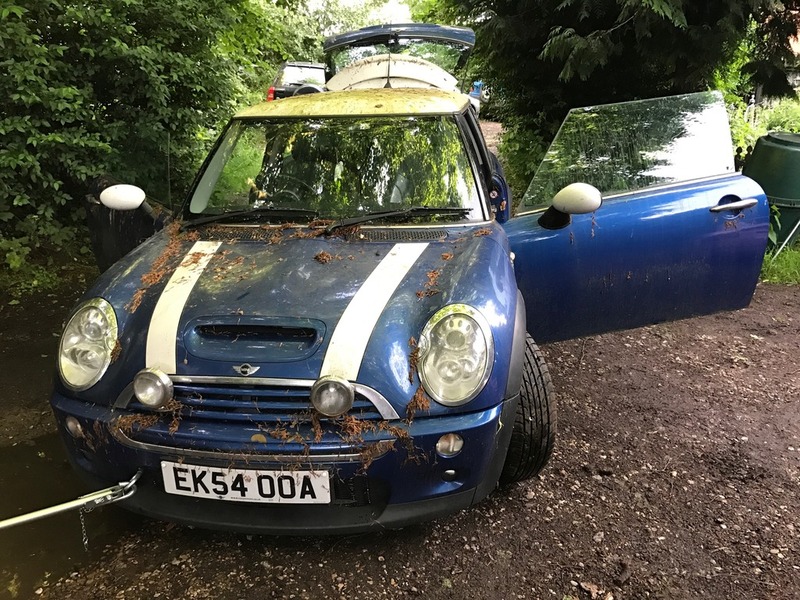 We had talked about putting it up for sale as spares/repairs - but I think the look of genuine horror in my face lead her to say "Why don't you have it?" I was quick to explain that I couldn't really afford to buy a car at the moment as I don't have a permanent job, so I would have to 'pass' on it. However, what she actually meant was that I could have the car for free if I wanted it. Like a kid at christmas, I jumped in my Land Rover and began to formulate the plans in my head! I think we need to address the elephant in the room - yes, that Audi TT is pink. Picture taken through the window due to missing key (more on that later). Note the mouldy seat! 2004 R53 MINI Cooper S with the John Cooper Works pack. It is a 1.6 supercharged inline-4 with 6 speed manual gearbox. The colour is Hyper Blue, with white roof, mirror caps and bonnet stripes. In addition to this, I believe my car has the Chili Pack (including full leather) and Cockpit Chrono Pack (extra dials). It also has some sort of dealer fit sat nav (although the head unit has since been changed) which scared me half to death. 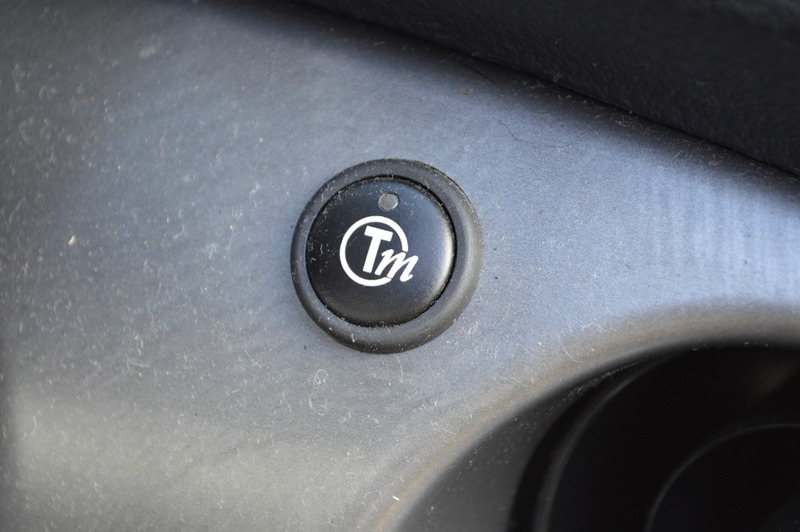 There is a button (pictured above) which rings through to something like "MINI SmartNav", you tell them where you want to go and they send the directions to your car! I was very surprised when I pressed it at 11:30 last night and it started calling somebody! I'll stick to using google maps on my phone! The button for the obscure sat nav. Don't worry, i've cleaned it since. As you can probably tell, it has been fitted with Works GP type wheels (I'm not sure if they're genuine or replicas) but I really like the look of them so they will be staying. The first issue was the key (or lack thereof!). 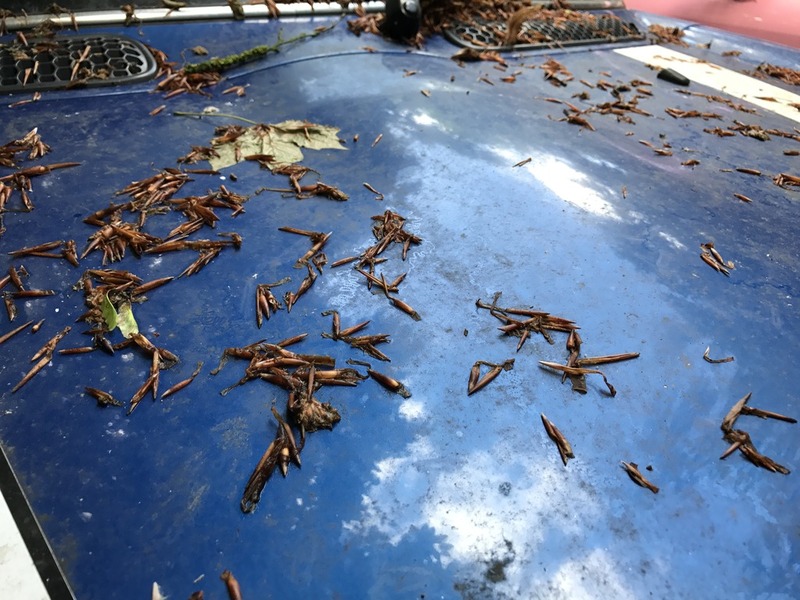 In the time the car had been sitting - the only key had gone missing. After a bit of hunting, the V5 document was unearthed. 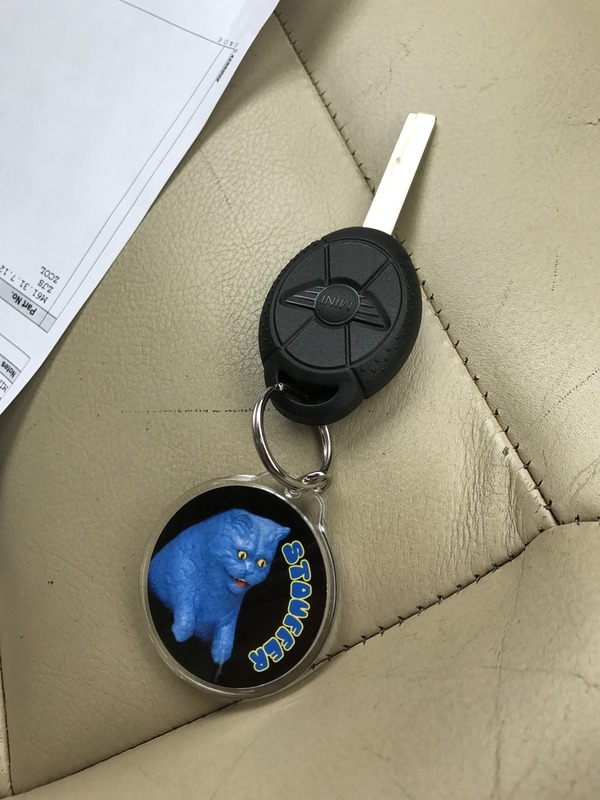 I went with the current owner and ordered a new non-remote key from the BMW/MINI dealer for the surprisingly reasonable sum of £42! This arrived a couple of days later. It does the job, although I should mention that it is the single most cheap feeling, hollow piece of plastic I have ever come across! I next needed to work out how to get the car home. 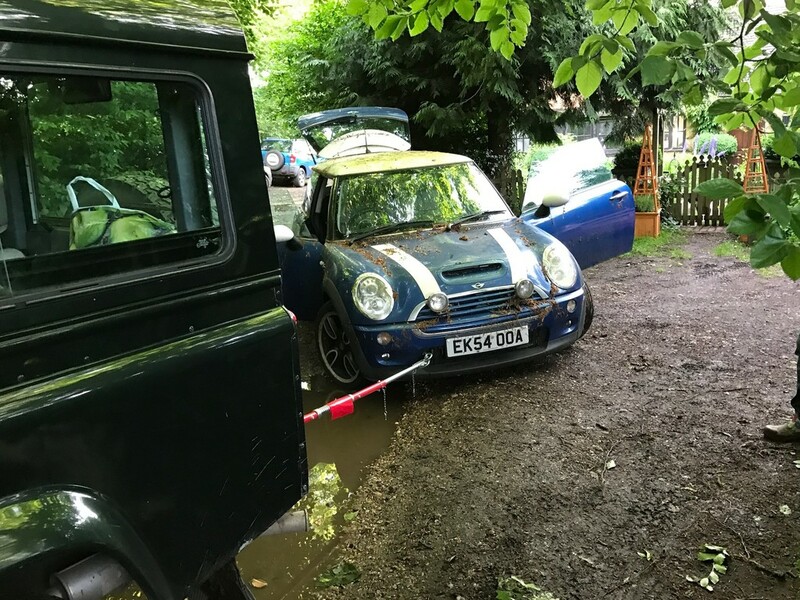 I was reluctant to tow it with a rope as the journey is around 30 minutes on B-roads with a lot of stopping and starting - and I knew that the MINI would have little to no brakes as the engine obviously wouldn't be running. I found that Screwfix sell a fixed tow bar with spring damper for under £20. 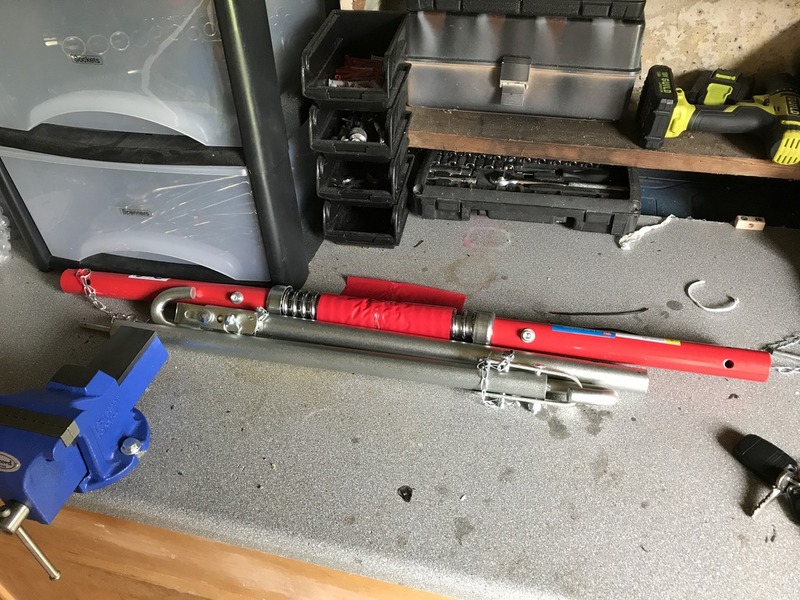 It's pretty good, although (as per all the reviews) the cotter pins which hold the 3 pieces of the bar together are rubbish, I could visualize them coming loose very quickly - so I substituted them for some split pins. 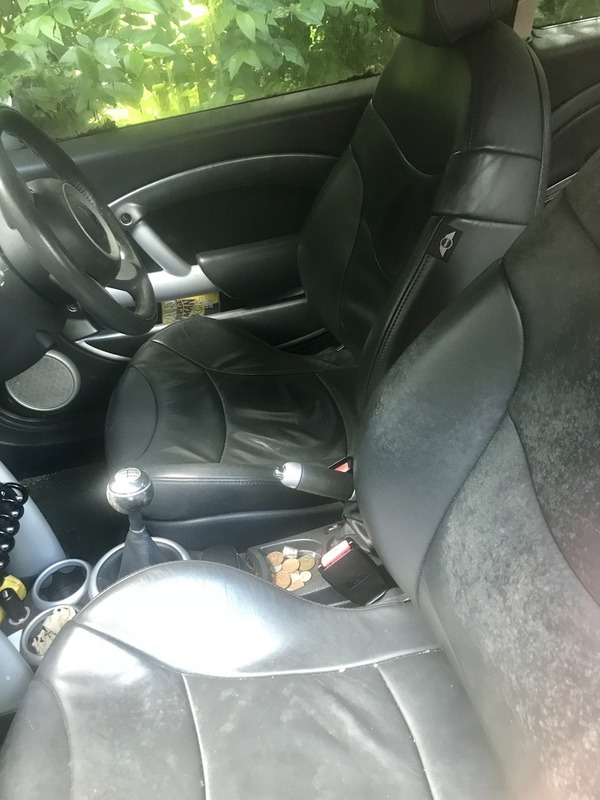 I started by removing all of the previous owner's stuff and wiping down the mould from the passenger seat to make things a little less of a health hazard on the way home. 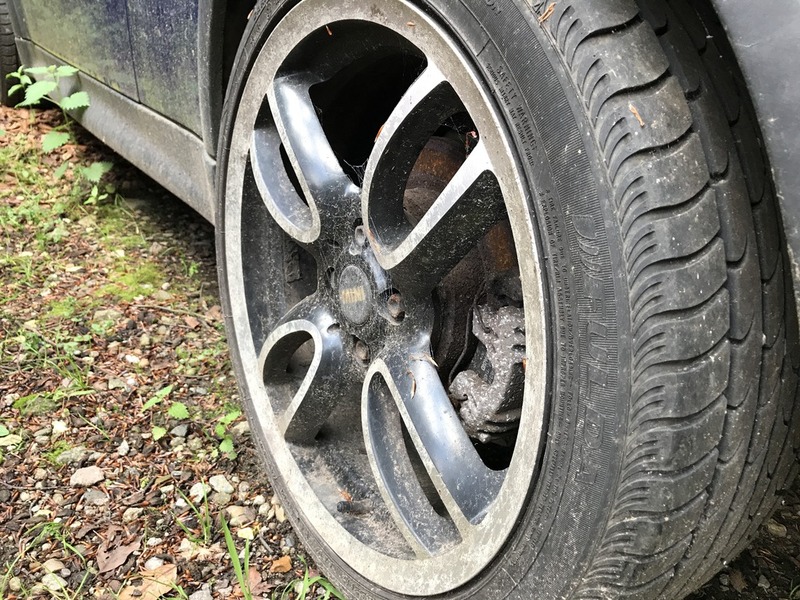 The handbrake had been firmly applied all the time it was laid up, so predictably the car did not want to budge. Luckily a couple of quick yanks with my Discovery and it rolled freely.The battery was totally dead (no surprise really!) but no matter how hard I tried, wouldn't accept a charge. As I wanted to be able to have the hazard lights on during the journey home, I popped to Halfords on the way home and picked up a suitable battery for £55 on my trade card. 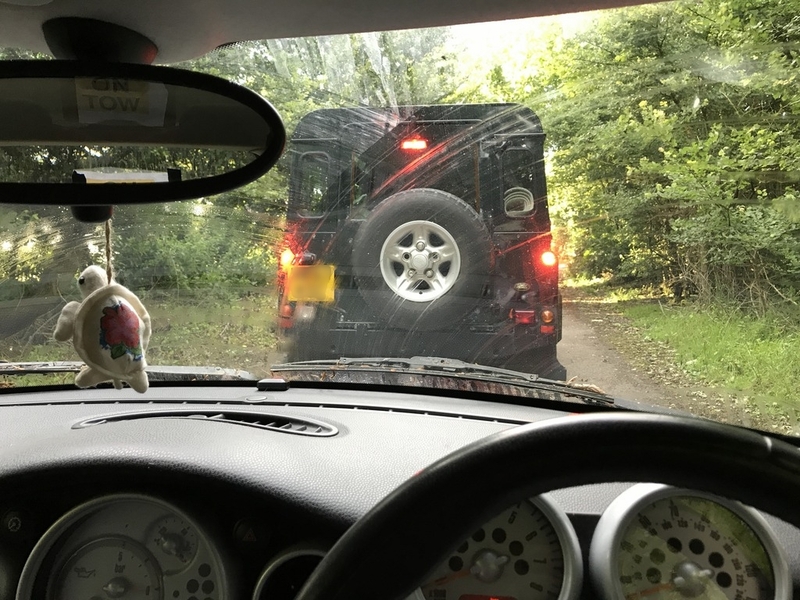 The fixed bar attached easily to the MINI's front towing eye, having anticipated that the Defender doesn't have a towing eye on the back - but does have a tow ball, we found a suitable shackle to attach it with. 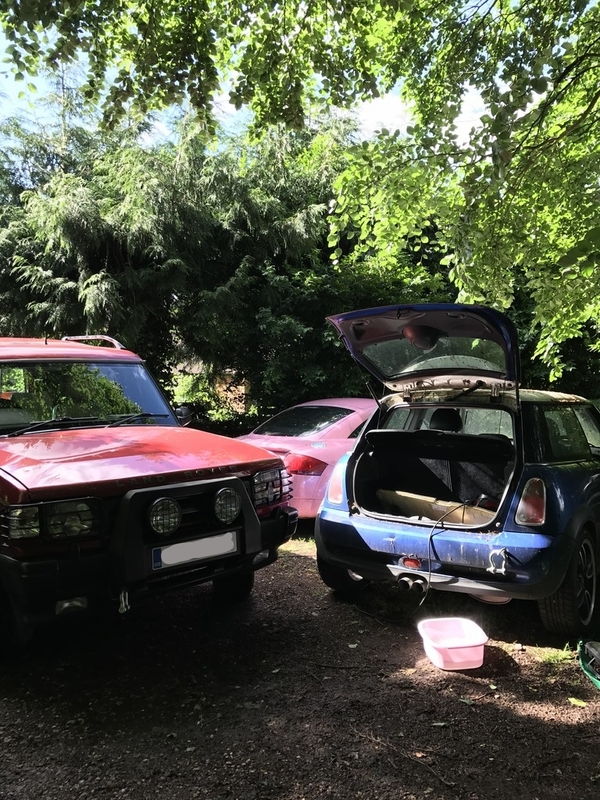 I hooked up the new battery on the MINI and all the electrics came to life. Last edited by jbenekeorr; 13-07-2017 at 07:15 PM. Looking foward to part 2! 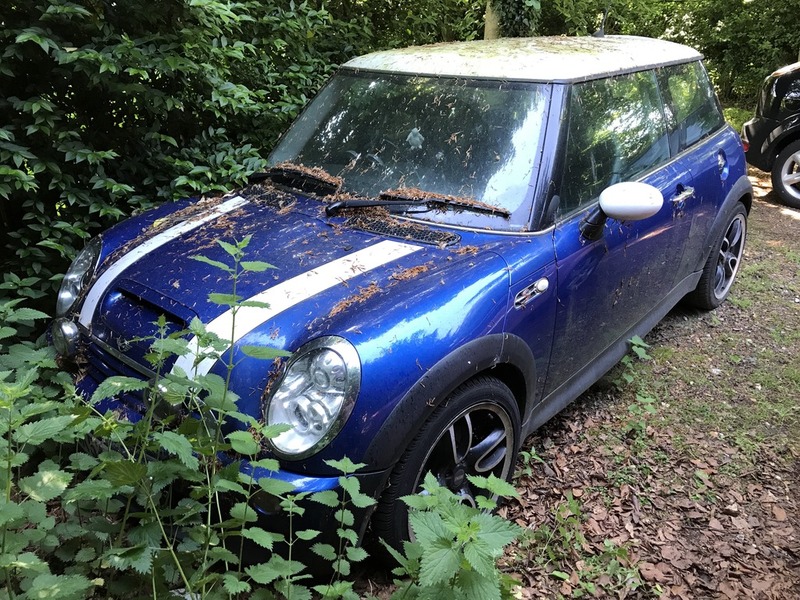 Interested in a Cooper S myself. This is going to be epic, a free Mini!! This is brilliant mate. Great story so far. Cant wait for the next update. We need more projects like this, keep us all informed with your updates asap, this looks like its going to be a great future project for you.